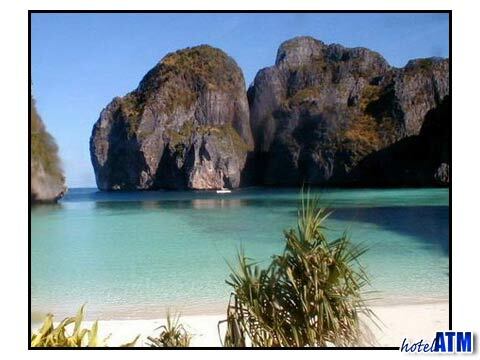 The Phi Phi islands are considered among the most beautiful islands in the world. The natural beauty is awe inspiring and the beaches are stunning. Many visitors take longtail boats from one beach to another in order to compare the beaches and enjoy each of them. One beach stands above the rest, Phi Phi Ley, the island that was the backdrop for Leonardo DiCaprio "The Beach", Maya Bay, is one of the most beautiful and majestic beaches you will ever lay your eyes on. As you take a longtail boat over to Phi Phi Ley you may experience some rough waters depending on the day, but even if you do, it is well worth the trip. As you approach Phi Phi Ley you may be confused as you only see a wall of jungle covered cliff. At first glance Phi Phi Ley is just this in-penetrable wall and Maya Bay is out of sight. Then, you turn a bend and see a stunning beach for the first time. If you get their early enough before the beach gets filled with people you can see quickly why Phi Phi Ley is one of the most famous beaches in the world. Phi Phi Holiday's must sees. Anyone on holiday in the best of Phi Phi Islands should consider at least one trip to Phi Phi Ley in order to enjoy seeing this beautiful island. The crew that filmed on the island spent some time cleaning it up and planting some more palm trees to enhance the already natural beauty. The result of this enhancement is one of the most beautiful beaches you will ever lay eyes on. Whether you are on holiday alone, with your spouse, family or friends you will want to take a trip to Phi Phi Ley and witness the backdrop of The Beach. Sunbathe, swim, snorkel or engage in any and all activities this great beach has to offer. This is the perfect setting to recharge your batteries and escape the stresses of everyday life. Many visitors explain that they have never seen such a stunning beach and never will they again until their next trip to Phi Phi Ley. Phi Phi Island is becoming one of the most popular holiday destinations in the world and Phi Phi Ley is worth a day trip or more. 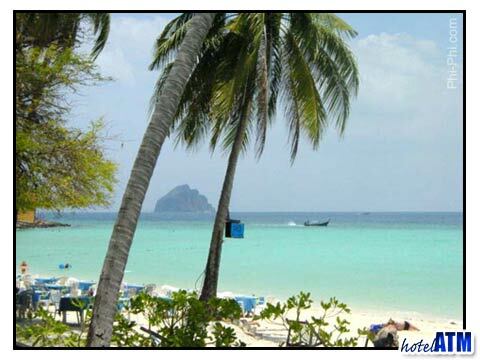 You must witness natural beauty at its finest by making a day of Phi Phi Ley and The Beach.